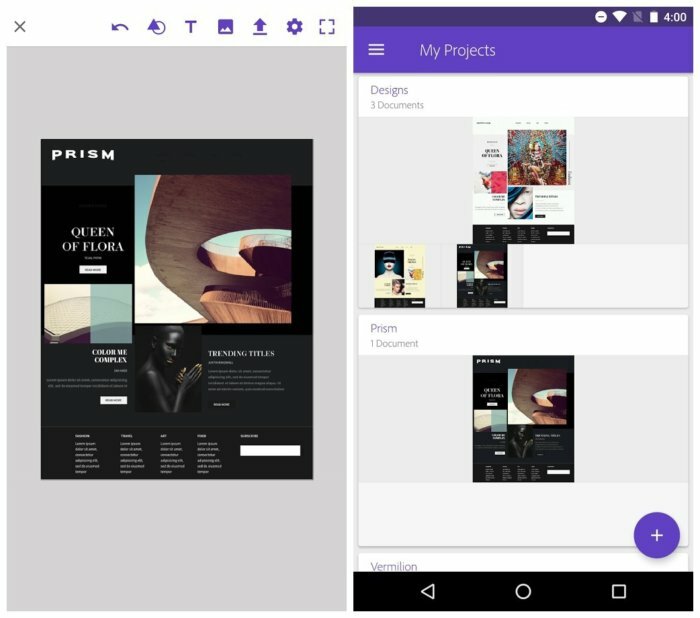 You now have more sophisticated tools for drawing, wireframing projects, and editing photos on an Android phone or tablet. 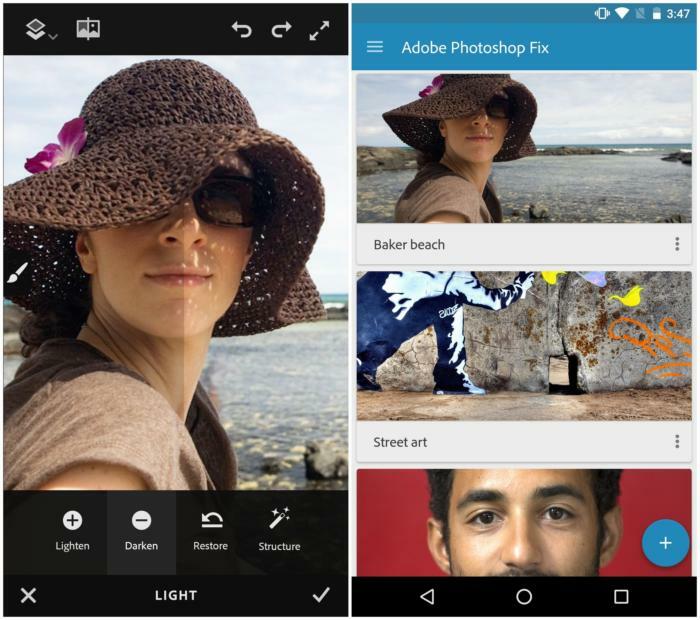 Adobe is dropping in three new mobile apps to bolster its creative offerings on Android. The company announced Wednesday that Adobe Photoshop Sketch, Fix, and Comp CC are joining the substantial portfolio of what the company produces for Android. Comp CC is a full-blown wireframe and design tool that’s targeted for both digital and print products. It includes numerous design templates for mobile and desktop devices. The icons and tools have been thought out well for use on the smaller screen of a phone if you want to do some work there. Comp CC is a full-blown wireframing tool for your Android device. Photoshop Fix is designed for image retouching and restoration. You’re able to heal, smooth, liquify, and make other edits and tweaks on the go. 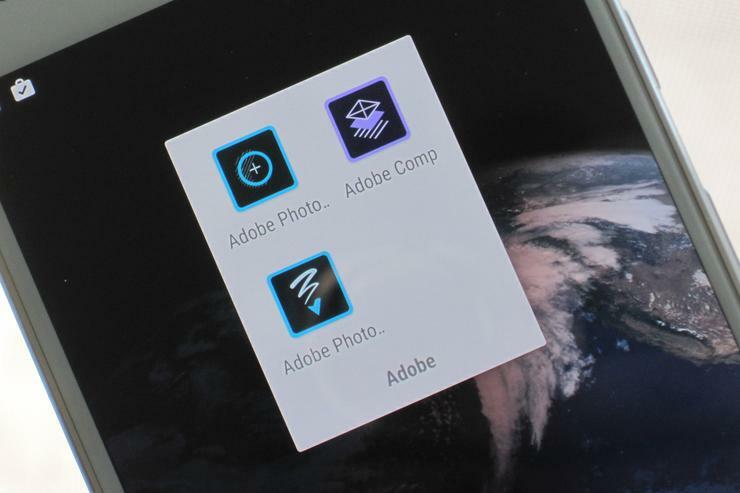 Adobe’s Photoshop Fix gives you more editing options for your images. Sketch, as the name implies, is more focused on illustration. You have a number of different drawing tools to annotate existing images or start from scratch. 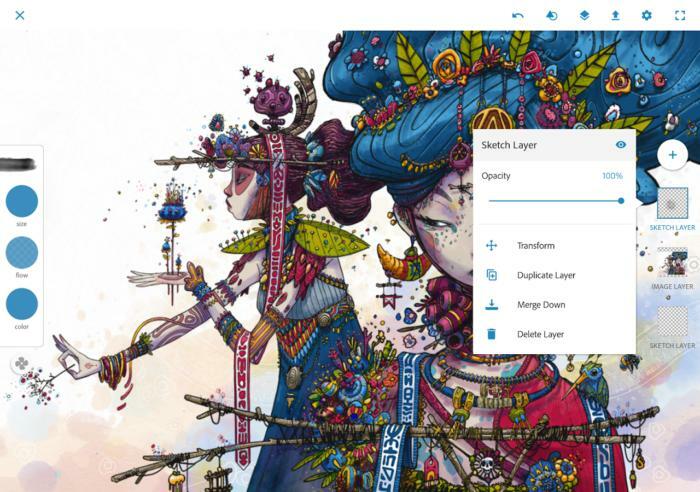 Get your stylus or finger ready for some serious drawing tools with Photoshop Sketch. Along with the new apps, Adobe also bumped up Illustrator Draw to version 3.0. It includes enhanced brush stroke tools, and more settings to tweak the pressure and velocity of your sketches. Why this matters: Adobe is still the king of creative tools, and the company is putting more effort into its Android portfolio given the size of Google’s platform. Another potential target is the Chromebook, which now has a select number of models that can run Android apps.